So many babyboomers and Gen Xers are sitting on a fortune right now. Some own houses that have average value of over $1 million so they don’t need to buy lotto tickets. When I wrote this post several years back, as a pep talk and timing issue, prices were getting out of control. Bidding wars, rising mortgage rates, delapidated shacks were selling for a million, and yet sellers held on for more. Many waited too long, and lost out on hundreds of thousands of dollars of value. The housing bubbles have formed, yet the predicted housing crashes never happened. There is excellent demand for your home still, and in most cities, prices are similar to what they were two years ago. So, no embarassment for most. Yet the US economy is going through tumult, and a Canadian housing crash and Chinese housing crash are not out of the question. Consumer debt in those countries is massive. Inflation or sudden job loss could start an avalanche. If you’re in Vancouver, Toronto, Calgary, or Missisauga, a housing crash is not out of the question in 2019 or 2020. If you’re in Tampa, Atlanta, Philadelphia, Chicago, Los Angeles, Seattle, San Francisco, Houston or Miami, you’re probably going to be alright. Florida and California housing markets look good. Yet, it may be the right time right now in your life to sell your home. That’s traditional wisdom in real estate investment, and it still works today whether you live in Miami, Boston, San Diego, San Francisco or Los Angeles. The cycles of the housing market undulate like a roller coaster ride at Disneyland, and are we nearing the plunge (crash forecast) in a few markets? The housing markets in Toronto, Vancouver, Los Angeles, New York, and San Francisco are seriously overheated and a plunge in 2017 might not be so exhilarating or good for your personal wealth. Selling now in these markets might be the wisest financial decision you’ll ever make. 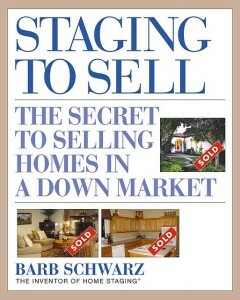 You’ve got a short term where you can market your home online and build demand, perhaps even to get over asking price. Some babyboomers bought their houses in the 70’s and 80’s and are now cashing in for 1000% profit. No one could foresee that kind of return, nor would any of them know they would be so incredibly wealthy from selling that property when they bought it in the 70s or 80s. 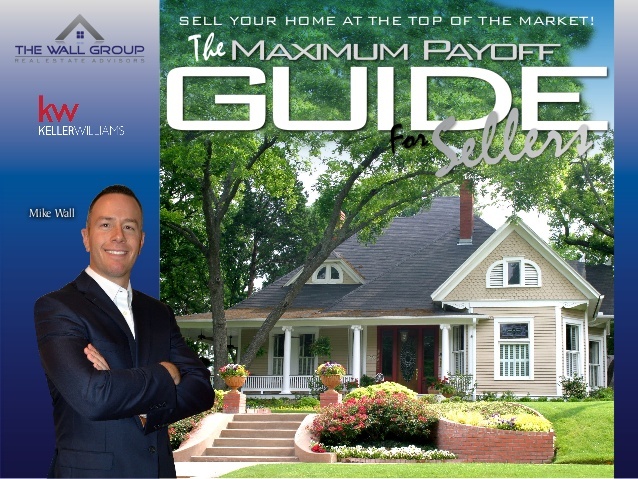 Do you need a professional, reliable realtor to help you prepare and sell your home? Contact me so I can connect with a good one with experience and a passion for selling. Sharing is good for your social health. Pass this post onto your friends and neighbors. Buying and selling is serious business and they need the facts! How Could You Engineer Such a Feat? It’s easy, and here’s 7 alternatives that can help you cash on what was a great ride in the realty market and now your maximum payoff in 2017. Move Somewhere else Cheap for a Year or Two. Just rent in those towns, (12 to 24 months is $18000 to $40,000) and get ready to buy or custom buid your next home when the market falls. Sell and use some of the funds to renovate your parent’s old place to create an income suite. Live in the income suite for a couple of years. You’ll break even and you’ll be ready to do a custom build somewhere cheaper. Check Your Weight, Blood Pressure and Stress Levels: look at how stressful and stagnant yours and your family’s life has become — it is worth it to keep on paying down a mortgage when you’re passing by an opportunity to profit in the hundreds of thousands – get a quote from a realtor about intelligent renovations and staging – let’s fatten this one for market and save your health (later on, you’ll recognize the toll your life as put on your health). 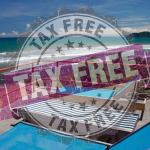 Can you believe some places have Tax Free living? Move to Costa Rica or Belize – these countries require you to have an income of more than $3000/month (or a big bank account which you’ll have). Consider how much fun you and your kids are going to have – unaparalelled experiences, once in a lifetime thrills and fulfillment. Sell and move to a rural area – locations inland from LA, San Diego are amazing, as is central British Columbia, Muskoka and Haliburton, Northern California, Oregon, and Washington State and Colorado, upstate NY or in the Adirondacks, or how about near Phoenix? I wouldn’t mind some sunshine and warming heat to bask in. There’s a life of excitement, zest, passion and fulfilling experience that could be yours. You just need to make the decision. Build a custom home way out past the burbs and build in a rental income suite and get your next mortgage paid! The renter could pay a good portion of your home loan and you’ll have plenty for a better education and travel experiences for your kids, not to mention a bigger yard for them to make every day fun. Sell your home, leave your job and start a new business. How about starting a new online business now that you’ll have the cash resources to make it go? 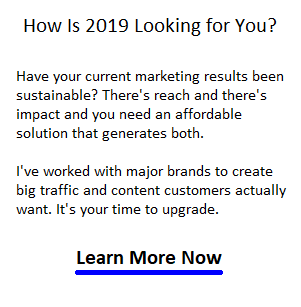 You could use my digital marketing services to help market your home persuasively and for over asking price, then use my services to build your business and make it soar. You could even live on Google Adsense revenue like I do! Let’s have crazy fun making videos and starting businesses in fun markets anywhere in the world! Yes, there’s more reasons to sell your home now. Perhaps you’re getting older and the commute to work is taking its toll on your health. This is no small matter. There’s lots of talk about telecommuting as traffic worsens everywhere, but guess what? Despite rising costs like car insurance and gasoline, no one’s telecommuting. Perhaps you need to begin thinking about fulfilling your dreams while you’re still young enough? Maybe markets outside Toronto, Vancouver, Los Angeles, San Francisco, Dallas, Seattle or Boston have excellent low priced homes at rock bottom prices that are about to start going upward on the price curve? Accelerate your Family wealth. If you sell, you can give a portion of the proceeds to your kids, perhaps tax free, and let them invest in income generating property and pay off their mortgages. Dark Thoughts – consider whether the economic fundamentals in both Canada and the US can sustain price growth and whether the next administration will tank the US economy. In my Los Angeles housing forecast and US home price forecast, I pointed out how strong economic factors will likely prevail. In fact, things are good which means buyers are optimistic and willing to buy. You need a buyer that’s motivated to pay you top price. If you wait too long, you may be stuck. New housing construction is on the rise. Buyers are Hoping, Waiting and Voting for a Market Crash – A huge and growing market of Millennials want to buy a home but prices and mortgage rules are making that impossible. They are waiting for the market to semi-crash so they can afford to buy. Poor Market Awareness – The problem with the way most people buy and sell is that they don’t anticipate trends or respond to them fast enough We’re not economists, and even they haven’t been that accurate in the past. It’s unlikely you’ll ever get a better price for your home in markets such as Los Angeles, Orange County, San Francisco, the Bay Area, Boston, Seattle, or Toronto. Although you’re probably getting sentimental about leaving your neighborhood, the rewards and benefits of moving on with your life are many. 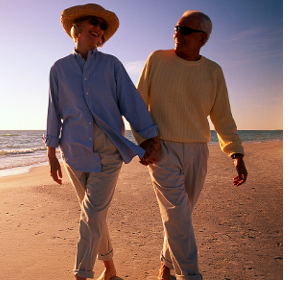 A new life in a location far from the aggravation, congestion, noise and smog of the city can revitalize your life. If you’re a babyboomer wondering about the quality of your years ahead, that curiosity or doubt should be sufficient warning. The fact is, tens of millions of babyboomers and Gen Xers right now are weighing the value and opportunity of selling and putting a new emphasis on quality of life. You’re not alone. Is 2017 the right year to purchase rental income property? Find out more about the best investments in 2017 including investing in real estate. Consider how the plunge of oil prices affected those in Calgary, Edmonton, Dallas, Houston, and North Dakota and how they saw their big investment plummet in value becoming a terminal debt sentence rather than a return on investment. When the market is high, be smart, cash in and enjoy the results. Move onto a new exciting home and business life where you follow your passions and enter a new phase of learning and growth. Your family will thank you for it. Real Estate Leads for Realtors in Los Angeles, Phoenix, Denver, Seattle, Chicago, Boston, New York, Dallas, Houston, San Antonio, Austin, St Louis, Minneapolis, Green Bay, Charlotte, Tampa, Miami, Orlando, Toronto, Vancouver, Montreal, Ottawa, Oshawa, Hamilton, Newmarket, Richmond Hill, Oakville, Calgary, Kelowna, Mississauga, Anaheim, Beverly Hills, Malibu, San Diego, San Francisco, San Jose, Oceanside, Long Beach, Huntington Beach, Carlsbad, Santa Clarita, Henderson, Mesa, Temecula, Kirkland, Redmond, Kansas City, St Louis, Stockton, Scottsdale, Palm Springs, Indianapolis, Fort Worth, Chula Vista, and Escondido.